Love seed bead bracelet patterns? If yes, today’s Pandahall tutorial on how to make fashion seed bead bracelet patterns for women really worthy of your attention! 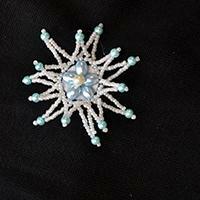 Here is a pandahall jewelry making idea on how to DIY a beaded star brooch at home. Hope you will like it! 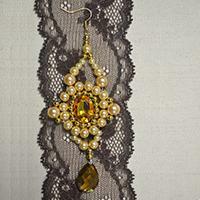 Today I use some pearl beads, some gold space beads and some acrylic beads to make a pair of vintage gold beaded drop earrings. Let's see how to do this. 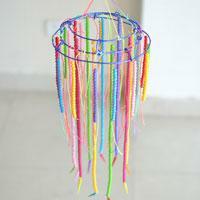 There are many hanging decoration ideas on our website. Today, I will show you and easy DIY beaded chandelier. 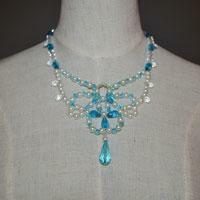 This tutorial is to display you how to make a beaded butterfly charm statement necklace with crystals and pearl beads. 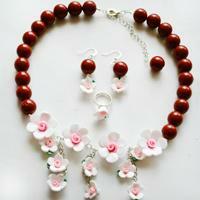 This article is mainly to tell you how to make a vintage style pearl brooch with glass beads. The one who love wearing brooches, never miss this. 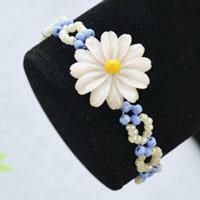 Love daisy beaded flower jewelry? Wanna make one? This step-by-step tutorial may be a good choice for you to follow. Would you like to make a woven seed bead bracelet without a loom? So lucky, you get to the right place. 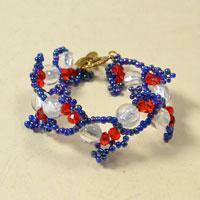 This tutorial is entirely about how to make a seed bead bracelet without a loom. 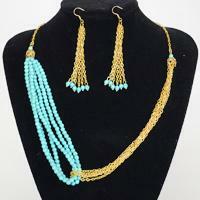 Are you searching for beaded pendant pattern? Here I want to show you a 3D purple square pearl beaded pendant. Do you want to impress your gratitude on Thanksgiving Day? Here, I will show you how to make a beaded heart pendant. Don’t leave! A perfect gift is waiting for you! 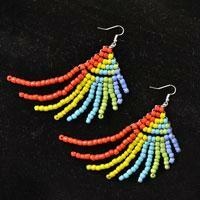 Look for handmade beaded earrings designs? 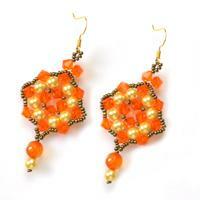 These free patterns will entirely tell you how to make beaded dangle earrings. Look for cute charm ideas? 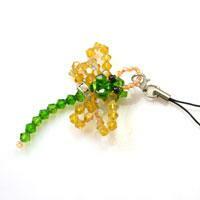 In the next tutorial, I will share you how to make beaded dragonfly charm. It is so cute, hope you will like it! 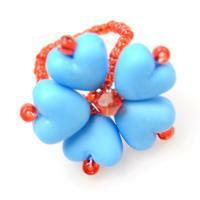 A blue heart ring will be shown in this tutorial, it is a very simple beaded ring pattern and everyone can take a try. Wanna to make wide cuff bracelets with beads for taking part in party or wedding? In today’s tutorial, I will share you how to make beaded cuff bracelets. Hope you will like it! 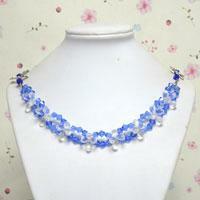 Today, in this flower necklace tutorial, you can learn how to make crystal necklace at home. Using our step-by-step instructions to create an elegant lotus flower necklaces!